Buy Your Tickets Today! NIAF’s 43rd Anniversary Gala! Only six weeks away! 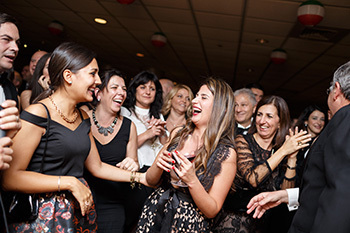 That’s when Italian Americans from around the country will join with friends and distinguished guests from Italy in the Nation’s Capital to celebrate our shared Italian heritage and culture at NIAF’s 43rd Anniversary Gala Weekend. Don’t be left out! Join us October 12-13 at the Washington Marriott Wardman Park Hotel for an Italian American pride-filled celebration boasting a full schedule of activities, events and culinary festivities. 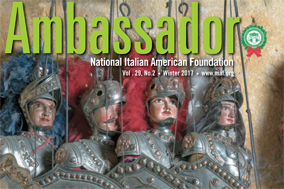 Friday afternoon will feature the ribbon-cutting of the NIAF Italian American Museum’s new exhibition on Italian Immigration at NIAF headquarters, 1860 19th Street NW, Washington, D.C. Free and open to the public. Please check the NIAF website at www.niaf.org for time. 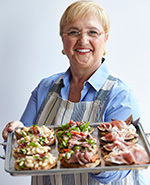 Kicking off the Gala weekend on Friday night, October 12, NIAF presents “An Evening with Lidia Bastianich.” The Emmy-award-winning TV chef, cookbook author and restaurateur will be on hand to guide guests through the culinary tradition of Puglia, NIAF’s 2018 Region of Honor, as they savor a special Pugliese dinner paired with fine Pugliese wines. Lidia will also sign her new memoir “My American Dream: A Life of Love, Family and Food.” This is a one-time-only ticketed event; seating is limited so reserve your seats now. On Saturday, October 13, the doors open to NIAF’s annual Expo Italiana, an all-day festival featuring high-end Italian automobiles, live music, singing, dancing, tastings, free food samples, and dozens of vendors showcasing their products—including 30 directly from Puglia! 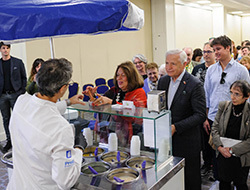 The Expo will also highlight sessions such as Gelato 101 (with Dolci Gelati); Italian 101 with the Italian Cultural Society of Washington, D.C.; a panel session on Italian Americans fighting the opioid crisis; a screening of the finalists of the Russo Brothers Italian American Film Forum; and much more! Expo Italiana is free and open to the public. Last year’s attracted more than 3,000 visitors, so get there early! The centerpiece of the Gala Weekend is Saturday night’s Anniversary Gala Awards Dinner. Actor, TV host and comedian Mark DeCarlo will emcee the evening. The Foundation will be privileged to honor six exemplary members from the Italian American community and from Italy! Dinner choices will reflect our 2018 Region of Honor. Following the Awards Dinner, the After Hours Party, which annually overflows with music, singing and dancing, is not to be missed. The Gala Awards Dinner sells out every year, so don’t wait. Tickets and sponsorships are available now. For more information or to purchase tickets, go to: www.niaf.org/gala/. 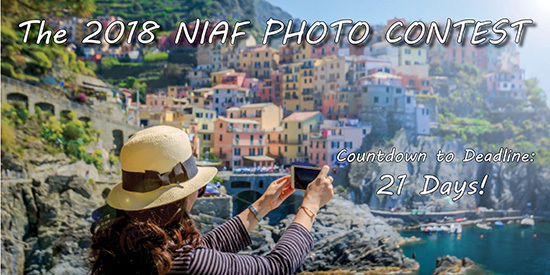 Enter NIAF’s 2018 Photo Contest! Deadline in 3 Weeks! You could win! Got a great photo from Italy? An amazing Italian food shot? Anything Italian or Italian American? Our Sixth Annual NIAF Photo Contest is as hot as a pizza oven right now and if you haven’t entered already, you should. Amateur and professional photographers are welcome. This year’s theme is Made in Italy! Grand-prize: Gala package for October 12-13 in Washington, D.C.! But before submitting your photo, please read the Contest Rules for photo size and resolution requirements and information you must provide. Deadline: Monday, September 24 at 12 noon EST. For Contest Rules and Tips on how to enter, visit: www.niaf.org/photocontest. NIAF celebrates its 2018 Region of Honor: Puglia! 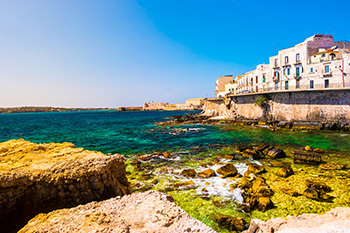 The famous heel of Italy’s boot, this beautiful region of Italy boasts sun-bleached coasts, Medieval towns perched atop mountainsides, and a regional pride rooted in its agricultural communities that is still relatively untouched by widespread tourism. You can see photos and videos from NIAF’s visits to Puglia this summer on our 2018 Voyage of Discovery program and our Board of Directors’ Mission to Italy via our social media channels. We will continue to celebrate Puglia throughout the year and at our 43rd Anniversary Gala Weekend, where you can get a taste of Puglia October 12-13. 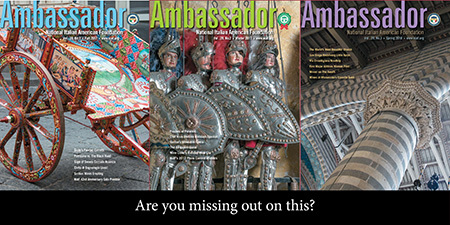 This Month: Fall Issue of Ambassador Magazine! The next issue of NIAF’s acclaimed, glossy magazine comes out later this month and you won’t want to miss it. Featured this issue: Stories from Puglia to Hoboken! A WWII veterans lessons to his son about liberating Nazi concentration camps. Workshops you can join to restore medieval art in Puglia’s famous cave churches. A visit to the studio of award-winning children’s books author and illustrator Tomie dePaola. A guide to hiking the Via Degli Dei route from Bologna to Florence. Wine tasting Puglia’s best. Plus books reviews, the Cinema column, recipes, and more! NIAF On Campus Fellowship – Apply now! 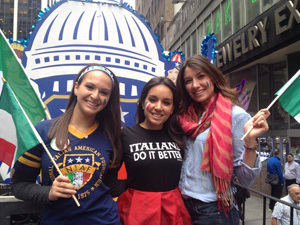 Be a leader of the Italian American community on your college campus? 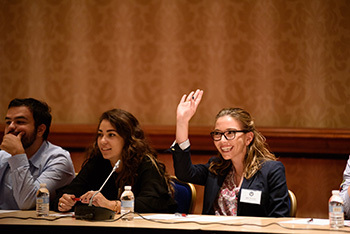 We are looking for college students who are passionate about their heritage and want to have a voice in Italian American affairs for our 2018-2019 NIAF On Campus Fellowship Program. Student Fellows receive leadership training, networking opportunities, and a ticket to NIAF’s 43rd Anniversary Gala. Deadline to apply: September 15. For more information, go to: https://bit.ly/2HBLEjU. We’re creating an alumni database of past participants in NIAF’s Voyage of Discovery or NIAF’s Gift of Discovery programs and we need your help! Did you or someone you know participate? If so, let us know. Please email your name, Voyage of Discovery year, and any other information you’d like to share about your experience to voyageofdiscovery@niaf.org. Like NIAF? 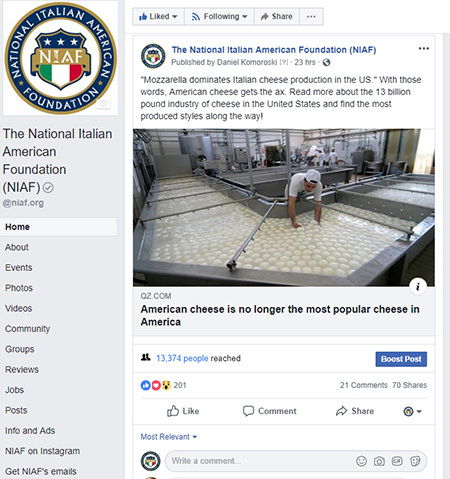 Then be an active part of our online community and “like” NIAF’s Italian American, pride-studded Facebook page! NIAF on Facebook is an exponentially growing online community with everything but your Sunday dinner table — news, views, recipes and trivia. Anything Italian, Italian American or NIAF, it’s there! Plus, contests, giveaways and free tickets to shows, concerts and events across the country! Those of you who already follow us, grazie mille for your support! Join us at www.facebook.com/niaf.org. Great money-saving deals through NIAF’s partners, and much more! For more information about NIAF and its exciting benefits, visit www.niaf.org/join/. 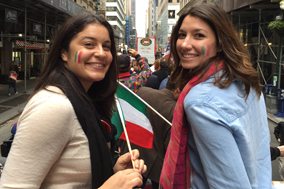 Give back to the Italian American community and donate to NIAF in our #WeAreNIAF campaign. No matter how large or small, your gift allows us to provide scholarships and grants for Italian American students and continue our work in Italian cultural programs throughout the United States. Every donation counts! To learn more about what we do and how you can help, go to www.WeAreNIAF.com. Heads up, NIAF members! Check out all money-saving discounts, exclusive deals and membership benefits that NIAF Corporate Sponsors offer through your NIAF Membership Portal. Sign in with your NIAF password at: www.niaf.org/my-niaf/. Discover Sicily with NOIAW this fall! This exciting tour of the island with NOIAW members and friends, September 20-29, 2018, will include four-star hotels, olive oil and wine tastings, sightseeing, local (and delicious) culinary experiences and much more! Space is limited and advanced registration required; to RSVP, click here: https://bit.ly/2lHjHhx. 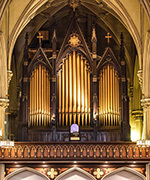 The Basilica of Saint Patrick’s Old Cathedral, Friends of the Erben Organ, and the NYC Chapter of the American Guild of Organists present The Second Annual San Gennaro Pipe Organ Recital, September 13, at 7:30 p.m. Acclaimed concert organist Ray Nagem will perform Italian music. Stephen Pinel, expert on the life and works of Henry Erben, will give a presentation in Basilica Undercroft at 6:30 p.m.
IAMLA’s new exhibit Italianità: Italian Diaspora Artists Examine Identity, runs until January 13, 2019. Exploring the concept of “italianità,” which translates to “Italian-ness,” it features more than 20 artists whose work showcases the complex nature of the Italian diaspora and celebrates the beliefs, traditions and defining characteristics of this movement. For more information: https://bit.ly/2yRJqgB. Start your engines at The Italian Cultural Foundation at Casa Belvedere’s 2018 Anthony D’Andrea Festa & Motori D’Italia, September 22-23. The outdoor Italian festival features a classic and performance Italian Car and Motorbike Show, specialty foods, live music, kids activities, exhibits, food and spirits tastings, and more! Admission: $10; under 12 free. The Italian Cultural Foundation at Casa Belvedere’s Culinary Classes offer recreational and educational culinary experiences on a year-round basis. Daytime and evening classes are held in Casa Belvedere’s state-of-the-art Cucina Colavita Kitchen and are available for adults and children. Adult classes this month include: Grown-Up Pretzels (September 11); Milanese Succulent Braised Pork & Semolina Gnocchi Triangles (September 16); and Sushi & Dipping Sauces (September 25). Test your bocce skills at Casa Belvedere’s Fall Bocce Tournament, beginning Thursday, September 6, and continues six to eight consecutive Thursdays. Form a team of two-to-four players and join the fun. For more information on these and other Casas Belvedere programs, visit www.casa-belvedere.org/ or call 718-273-7660. 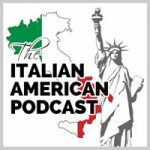 Join hosts Frank Granieri and Dominic Mevoli to celebrate the everyday Italian American family and experience, plus interviews with personalities, stories, recipes and more! Sundays 6 a.m. and 5 p.m., on WWDB 860 AM Philadelphia; and streaming worldwide! Find them on Facebook at www.facebook.com/EverybodyLovesItalian. For more information, visit: www.everybodylovesitalian.us/. Congratulations to NIAF member William Giovinazzo on the publication of his new book “Italianità: The Essence of Being Italian and Italian-American,” about the special quality that binds everyone of Italian descent – Italiani nel Mondo! 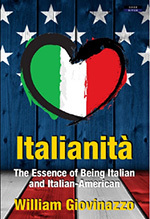 In this book, Giovinazzo explores the culture and history of Italians and Italian Americans, looks at food, religion and relationships; and finds insights into what makes Italian and Italian American societies the wonderful, life-affirming, vibrant cultures. Available on Amazon.com. 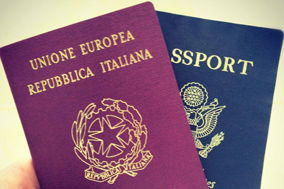 Whether you are hoping to determine if you are eligible for Italian citizenship, looking for assistance with collection of your family’s vital records, or merely looking for translation of your documents in preparation for your appointment with the Italian consulate, Your Italian Passport is here to help! Visit our website www.youritalianpassport.com and be on your way to living la dolce vita! As always, NIAF members receive a 10 percent discount on all services offered. A new world awaits with Your Italian Passport! Contact us today! Alitalia recently unveiled the new “Casa Alitalia” lounge at Rome Fiumicino Airport-Boarding Area E. With more than 10,700 square feet of space, the new lounge features 258 comfortable seats in a relaxing and comfortable space. Take the virtual tour and discover what’s inside! 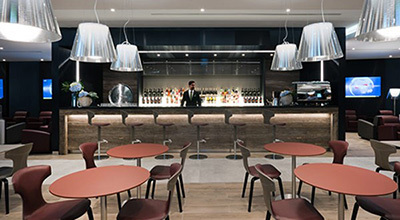 Casa Alitalia lounges are designed to convey the feeling of Italian hospitality and culinary excellence in partnership with leading Italian brands. Our lounges feature private meeting rooms, bathrooms with showers and Wi-Fi connectivity. Select lounges also offer a library and prayer and meditation areas. Our guests can also enjoy a live cooking experience twice a day, a buffet with homemade Italian specialties with gluten-free and vegetarian options. 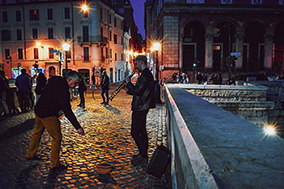 Free Casa Alitalia access is reserved to Alitalia Freccia Alata Plus, Freccia Alata, SkyTeam Elite Plus club members; to passengers holding a Magnifica and medium-haul Business Class Alitalia ticket; and to Alitalia American Express Platinum card holders flying with Alitalia. Read more on where to find Casa Alitalia lounges and how to purchase single admission tickets.